Day one of the Pokémon World Championships was a bloodbath where more than 100 of the world’s best players duked it out for a chance to compete with the season’s best competitors in the second phase of the tournament. And even though the Video Game Championship series is solo affair, one tightknit group of players rode the same wave to success built on the back of a team featuring Raichu’s new Alolan form. Alvin Hidayat, Rajan Bal and Robbie Moore all represent Smogon, which is one of the largest online communities for competitive Pokémon battling in the world. The first two made it to the second day of competition by earning at least five wins, and Moore was just a single game away from doing the same. But regardless of performance, their team was the talk of the tournament’s first day. Their team, Tapu Koko, Raichu, Metagross, Salamence, Snorlax and Clefairy raised eyebrows when it first debuted, but after seeing it plow through the first few rounds opponents became weary of facing it. And once the day had ended, players knew they had to figure out a game plan for dealing with the team or risk being caught off guard. Here’s how the Raichu-led Pokémon task force operated. 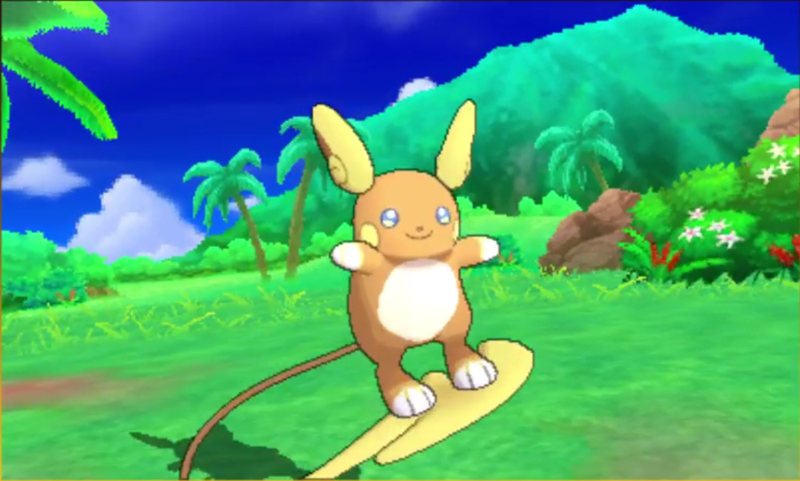 First, by setting up Electric Terrain with Tapu Koko, Raichu gets a massive speed-boost thanks to its Surge Surfer ability. Then, by using its unique Z-move, Stoked Sparksurfer, it can do huge damage and have a 100 percent chance to paralyze its opponent. It also has access to utilize moves such as Fake Out and Encore which can stop opposing Pokémon in their tracks. Finally, with addition of Hidden Power Fire, the combo works as a perfect answer for the ever-deadly Kartana. Meanwhile, Metagross and Salamence make for another deadly duo thanks to the synergy between Bulldoze and the Weakness Policy item, which boosts the holder’s damage output two-times when hit by a super effective attack. Snorlax and Clefairy round out the team, using the redirection and the damage-reducing Friend Guard ability to help Snorlax deal devastating damage after maxing out its Attack with a Belly Drum. Moore (seen in the above clip) got a chance to show off how effective the Raichu was, though not keeping it safe ultimately cost him his chance to advance. Hidayat (seen in the below clip) also shinned on stream, though Snorlax was the superstar there. The three day-one competitors, along with players like 2017 North American championship points leader Nick Navarre and 2016 World Championships runner-up Jonathan Evans, have spent all year building teams and practicing together. But, despite being one of the best Pokémon on this team, Raichu wasn’t originally even in the running. Navarre, Hidayat, Bal, Evans and a handful of other players were chatting in their regular team-building Skype call, discussing how they could improve upon Markus Stadter’s speed-boosting Nihilego from the North American Internationals. The group wanted to take a different approach to it, and so set themselves to the task of looking for innovative ways of complimenting the dual rock and poison type Pokémon. Tapu Koko was the first Pokémon to make it on the team, and rightfully so since it’s one of the best and most versatile options in the format. Next, they decided to add the Salamence and Metagross combination, a pairing that’s shown up in droves at this year’s World Championships. The last two slots remained hard to pin down, though. They tried Hariyama, Pheromosa and even Chansey, but it was Navarre who suggested Raichu. Evans was adamant that it would be a terrible choice. The new alolan form only saw minimal use at the very beginning of the format, and had almost fallen off completely on competitive teams. Having lost its regular-form’s Lightning Rod ability in exchange for one that boosts its already substantial speed, few players found its utility and mediocre damage good enough to justify using it. All the same, few players had explored its unique Z-move and thus didn’t realize how strong it could be. And since no one would be prepared for it, the Smogon crew decided to give it a shot. The result was not what they expected. Whenever Navarre went to ladder online, he didn’t end up bringing Nihilego most of the time. In almost every situation, he led with Tapu Koko and Raichu, with Metagross and Salamence in the back. And in almost every situation where he did that, he managed to win. Around the same time, the team was given to another member of the Smogon crew, Case Bongirne. It was his hands that gave shape to its final form by removing the Nihilego entirely and adding the super speedy Snorlax that Bal and Hidayat used at North American Internationals. Finally, to help out the community-dubbed Turbo-Lax, he used Clefairy for its redirection capabilities and damage-reducing Friend Guard ability. By the time Worlds finally came around the majority of the Smogon players hadn’t settled on a team, so many decided to run this. Hidayat, Bal and Moore used it in day one, but many other players (including Bongirne) are using it in the Anaheim Open side-event. Now they’ll all have to prove that this electrifying team can go all the way, and take Raichu to a back-to-back Worlds victory.